Count on locally owned and operated Adler Moving Systems for superior moves in Ontario, across Canada and throughout the world! We have nearly 30 years of experience helping families relocate quickly, efficiently and stress-free. If your family is moving to or from Sault Ste. Marie, count on Adler Moving Systems! When you choose Adler Moving Systems, you’re selecting a moving team committed to your total satisfaction. From carefully transporting your fragile items like fine china and decorations to moving heavier items like plasma TVs and pianos, Adler Moving Systems can do it all! Our team will work with you to ensure your move is done to your specifications. 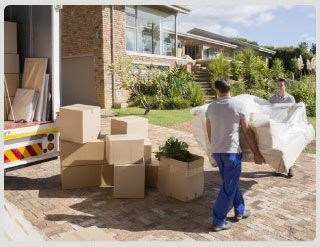 Adler Moving Systems provides an hourly rate for our moving services. Several factors influence this rate, including the size of the moving truck used, the number of team members required and seasonal impairments. We’re proud to provide a full array of packing materials to help you get all set before your moving day. Need some storage space to facilitate your move? No problem! The Adler team has several storage options to help make your move as easy as possible. Contact us today for more information on household moving across Ontario!